Friday the thirteenth. Funny that this is such not a thing that this happened and not one person that I know even mentioned it. As sometimes happens, today was busy and at no point did I even manage to make notes about what I did today. We are just back from being in New York so I am very far behind still on work, and any spare time is spent with Dominica and the girls as we’ve been apart so much. So I did not get to blog today, nor even post on social media or anything. 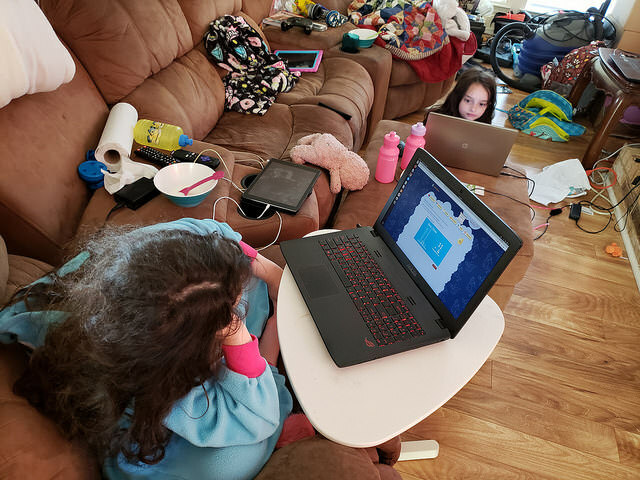 The girls did school today, mostly on their computers. So no real notes for today. At least Dominica and I were able to go out last night together. But today was very busy.